1.The structure of oil dripping adopts gap seal type, which makes the adjustment of oil supply more reliable. 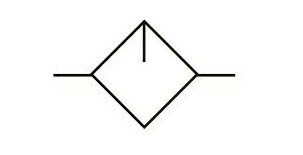 2.Oil feed ring can only make one full turn. The quantity of oil supply basically takes on linear distribution. The quantity of oil supply can be generally calculated according to the position of graduation ring. 3.Special drip nozzle structure will produce negative pressure in oil dripping outlet and the mist flow is minimal. 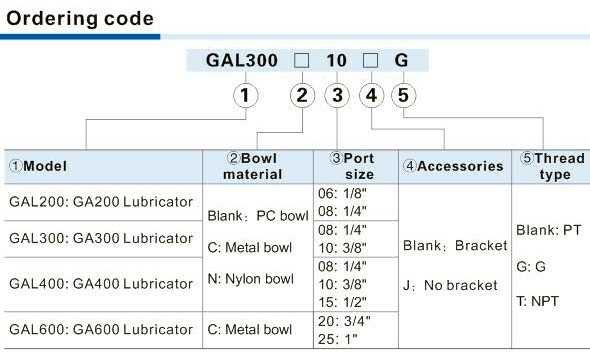 4.Three material of bowl are available: PC, Nylon and metal. 5.Filling of oil while the lubricator is under pressure is made possible, and the oil bowl is large. 6.The bracket can be ed for installation.